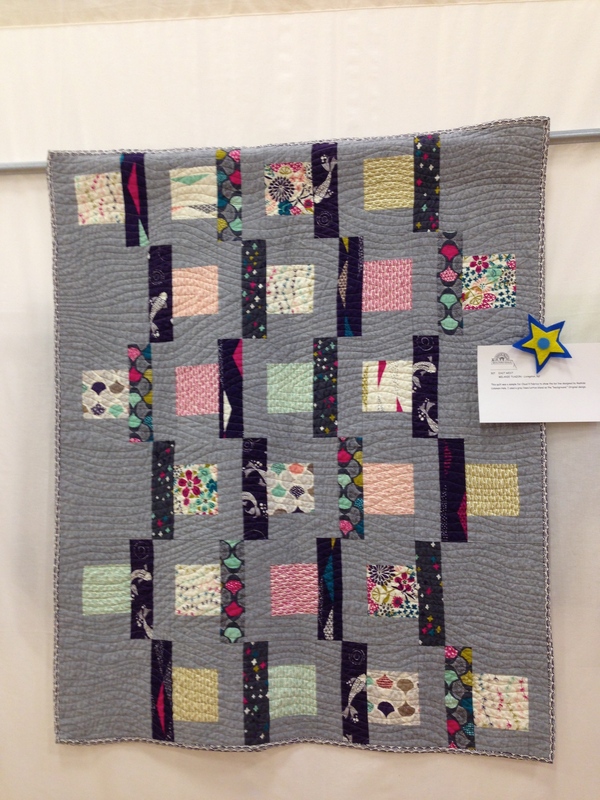 My quilts in their first show! 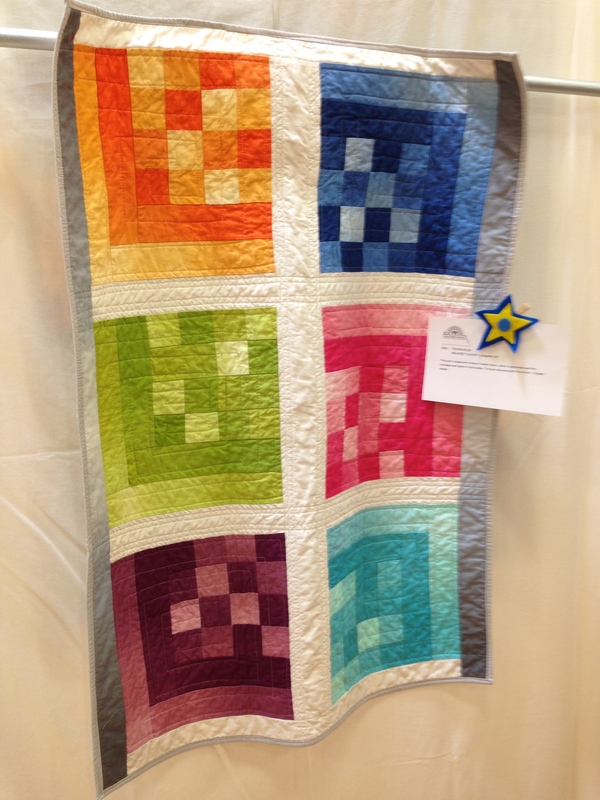 From top to bottom, East West (which I am so so proud of), Technicolor (whose poorly-executed sleeve will forever haunt me), and The Missing Brick at the Warwick Valley Quilters’ Guild show in Warwick, NY. The show is still on from 10-4 tomorrow if you’re local. 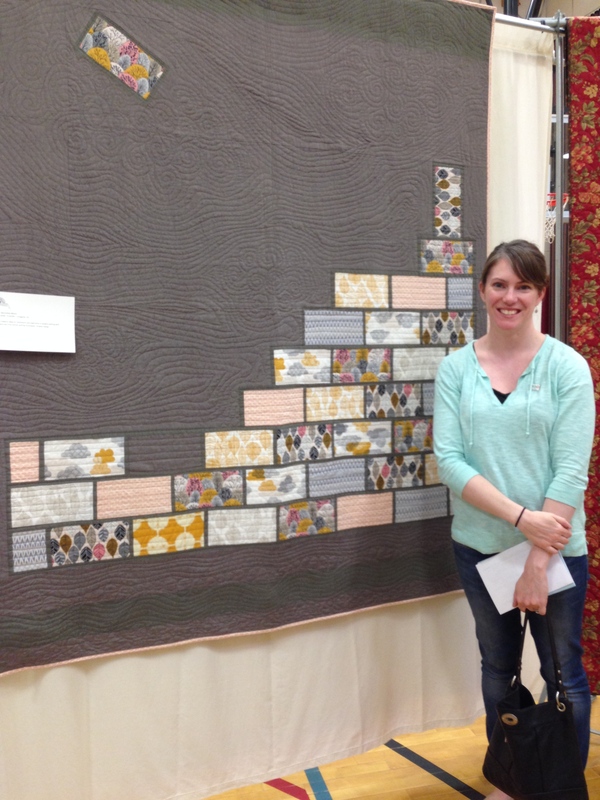 I was so proud to see them hanging and so excited to see modern quilts embraced by a traditional guild. Thanks for stopping by! See you next week. How wonderful it was to see your awesome quilts hanging on display today. I love them all! Congratulations on being in the show. I am living vicariously through you! I still the Missing Brick quilt is my favourite of all of yours… Nice work! Congrats on your first show! Aren’t they fun to see hanging up with other quilts?